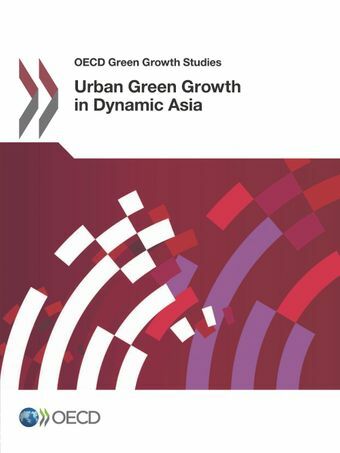 The Urban Green Growth in Dynamic Asia project explores how to promote green growth in cities in Asia, examining policies and governance practices that encourage environmental sustainability and competitiveness in a rapidly expanding economy. This synthesis report presents the results of case studies along with practical policy recommendations, reflecting the local contexts of Southeast Asia. While Southeast Asian cities are affected by a range of economic, infrastructure, environmental and social challenges, ongoing rapid development offers opportunities to shift towards greener growth models. The concept of urban green growth can be a powerful vector of sustainable development, by emphasising the existence and potential of co-benefits between economic and environmental performance. This report discusses how to promote urban green growth in the rapid urbanisation of Southeast Asian countries. In light of the current global debates (SDGs, Paris Agreement & Habitat III), it provides useful insights, not only to Southeast Asian countries, but also to other countries which face similar challenges. Southeast Asia has experienced a dynamic urbanisation process that will continue in the coming decades. The combined urbanisation level of ASEAN-5 countries (Indonesia, Malaysia, Philippines, Thailand and Viet Nam) has increased from 29.5% in 1980 to 51.4% in 2015, and is expected to reach 67.7% in 2050. The aggregated urban population of these five countries has increased from 79 million in 1980 to 271 million in 2015, and is forecasted to reach 452 million in 2050. Rapid urbanisation creates unprecedented challenges. For example, In Bangkok City (Thailand), the motorisation rate increased from 1.2 to 2 vehicles per inhabitant between 2005 and 2013. The dramatic increase in the stock of motorised vehicles is leading to severe congestion in many cities, and to concentrations of particulate matter far above the World Health Organization’s air quality standards. The fast-rising amounts of solid waste generated by residents is another challenge. In Bandung Metropolitan Area (Indonesia), this amount increased from 4 320 tonnes in 2006 to 7 661 tonnes per day in 2014, or an increase from 180 to 320 kg per capita per year in just eight years. Most of Southeast Asian countries still use landfills for their waste disposal, which creates huge environmental and financial burdens to urban residents. The report clearly indicates that the concept of urban green growth can be a powerful vector of sustainable development. In this regard, the report can support the implementation of recent global agendas, in particular the Sustainable Development Goals (including Goal 11 on cities), the Paris Agreement (Climate Change), and the New Urban Agenda which was recently adapted at Habitat III Conference as guiding principles of urban development in the next 20 years.